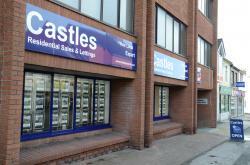 Swindon-based estate agents Castles Residential Sales & Lettings recently experienced its most successful month ever in terms of new lets agreed in May 2018. June 2018 will eclipse this result further and this is thanks to its exemplary history of helping tenants and landlords with the lettings process. The organisation’s May 2018 results were almost double those of May 2017, a testament to the dedication and knowledge of Castles’ staff and evidence of the benefits of renting through a traditional local agency. Houses are in demand right now, and rental homes are often snapped up within days. However, renting privately can be risky for tenants, who are often vulnerable to their landlord’s every whim and demand. As reported in The Independent last year, a shocking third of privately rented homes fail basic health and safety standards, proof that many landlords are not even completing their most rudimentary duties. Acquiring a rental home through an agency is one of the best ways to avoid being exploited in this way, as it involves signing a fair and binding contract. Alexandra Moise, who recently secured a new rental home through Castles Residential Sales & Lettings, said: “The organisation makes every effort to help renters like me. Looking for a new home can be stressful, so when we started our search we contacted many other letting agencies, none of which rivalled the level of professionalism of Castles. As Alexandra’s experience shows, enlisting an agency can take much of the stress out of finding rental properties. This is particularly true when tenants are given short notice by their landlord that they need to move out. Deposits, fees and tenancy agreements can also be worrisome, and enlisting an agency can make these tricky processes much more straightforward, with companies such as Castles able to negotiate on tenants’ behalf.